The Shaman fights like a wildcat on the battlefield. She uses a dagger and hatchet to stab and slash relentlessly, overwhelming their opponents. When she smells blood, she will pounce upon her prey and remorselessly deliver the deathblow. The Aramusha uses his blades for offense and defense. He can move very carefully or dodge very quickly on the battlefield. He capitalizes on the mistakes of his opponents to unleash a never-ending flow of fast attacks in every direction. A pair of massive stone skulls stand as welcome or warning to those who seek to enter the Viking Fortress. Perched high on a hill, the Fortress is protected by a defensive gauntlet, built by seasoned warriors to stop attackers from reaching their most valued haven. Few have ever made it in the Viking citadel, and none have made it out. Available in all gamemodes except Tribute. Out of tranquil marshland rises a Samurai village, a densely populated maze of twisting alleys and unusual architecture. Here the people live in stilt houses above the water, and the landscape has necessitated a push skyward, creating multi-tiered neighborhoods at varying elevations. Available in all gamemodes except Dominion. Two teams of four players fight for the favor of the gods. Each team must gather or steal offerings and bring them back to their shrines to unlock powerful blessings. The first team with three offerings (or the team with the most offerings at the end of the timer) wins. Tribute is playable in Tower Ruin, Canyon, Shipyard, Cathedral, Cinder Mill, Forest, Viking Village and Market Town. When the timer reaches 0:00 (during any phase of the match) the phase will not resolve until the latest interaction with a Shrine is completed or interrupted. The match carries on or finishes according to the result of that interaction. Example: If the score is 3-0 for the blue team. Win confirm state starts. After 40s an orange players tries to steal an offering. Before he finishes, the timer ends. On Public Test, this meant a victory for the blue team. Now, if the orange player successfully steals the offering, the match exits the win confirm state and goes back to the regular timer with the score being 2-0. This effect can be triggered with a steal AND/OR a secure. On PTS, moves and feats that controlled other players would not make the offering drop. They now do. Renown gain has been rebalanced, players should unlock their 4th feat towards the end of the match if all teammates contributed equally to the game. It was too fast on the Public Test. The damage boost from the “Vindicator’s Blessing” has been reduced to 20% (from 25%) and it does not affect feats anymore. The shield from the Guardian’s Blessing now has accurate regen rules, it will fill back up to 25 health (same amount as Public Test) 9 seconds after the last attack received (blocked or successful). This timer resets every time the character is attacked. The shield can still regen while in combat. Respawn rules have been improved to greatly reduce the chance of players respawning in front of an opponent. In order to significatively reduce the size of all future content updates, the team had to repackage parts of the game data in a more efficient manner. This is why this content update is bigger than our past season content updates. That one time increase only applies to players who currently have version 1.14.1 (our last patch). The optimization included in the new patching system is reducing the map loading times by more than 10% in most cases. Players were quickly locking and unlocking when fleeing from enemies, allowing them to run forever without activating the debuff for dishonorable play. Though players could still reach them, it was too easy to simply dodge one attack every time they locked on and time-out the match. So we are slightly increasing the dishonor gauge incrementation to stop the bar from stagnating and allow the runner to receive the debuff as intended. This change has no effect in normal play. Light Attacks are uninterrupted while the opponent is Out of Stamina. Developer Comments: This change allows players to be more aggressive against targets that are Out of Stamina. Since your lights are now uninterruptible by Block, they will chip, and the opponent’s only option to break your chain is to Parry. Roll stamina cost increased to 50 (from 40). Roll no longer has defense. Developer Comments: We’re increasing roll stamina cost by 25% in order to make it riskier for players to spam Roll and escape. Roll still works as a strong escape tool, but if you spam it you’ll run out of stamina faster. We’ve removed defense for all characters too. It was inconsistent across characters and generally not coherent with the nature of the move. Navigation speed tweaks prevent characters from gaining speed while switching between locked and unlocked modes. Developer Comments: This fix addresses the issue referred to as “shuffle”. You would lock/unlock rapidly to navigate faster than you would by simply strafing. This was caused by inconsistent speed data’s in our transitions between locked and unlocked modes, especially for slow characters. We’ve made those transition speeds consistent with the base navigation speeds of each character to prevent that from happening again. Critical Health regeneration has been removed in all game modes. Developer Comments: Critical HP regen encouraged stalling tactics and slowed down the pacing of the game, especially in Duel. We’re removing this from all PvP modes. It’s still available in Campagin though. Sprint Attacks can acquire target dynamically if they started without one. Developer Comments: This is an improvement on our latest update to targeting in order to limit unlock tech. Some long-range sprint attacks could still be unlocked if you attacked out of the set range of the attack and a target would come in range after it started. Now sprint attacks can dynamically acquire a target if they started without one. Dodge and roll can now be used to avoid the effects of Traps and Bombs. Dodging these at the right time will allow the player to avoid all damages. Developer comments: To provide better ways to avoid Traps and Bombs while in combat, we introduced the ability to dodge, as the explosion occurs, to avoid the damage. We hope that this will provide challenging situations during breaking! [Bug Fix] Resolved an issue causing Guardbreak not to connect when both heroes are fighting on certain stairs in “The Forge” and “The Sentinel” maps. This was previously planned to release with 1.14.1 but it could not make it in time, so it is released with 1.15.0. Top Heavy opener range increased to 4.7m (from 4.5m). Top Heavy chain range increased to 3.75m (from 3.5m). Top Heavy chain finisher increased to 4.75m (from 4.5m). Developer comments: We’re updating the attack range of Lawbringer’s Top Heavy attacks in order to improve range perception. In some cases, it was hard to read if the attack hit or missed. [Bug Fix] The Lawbringer could not performs his parry into “Make Away” if his opponent was Out of Stamina, instead of was performing the “Light Riposte”. It is now fixed. [Bug Fix] When the Raider performed the grab in his Light Attack chain against Minions, he was knocked back (bumped) and he did not finish his animation. It is now fixed. [Bug Fix] Fixed an issue that caused the parry to sometimes not play the animation. [Bug Fix] Execution "Punch Drunk" is now properly interrupted by external attacks. This allows a not-yet-executed opponent to be revived by their teammate. [Bug Fix] The Berserker was sometime bumped back when killing Minions. Minions can stilll bump other Minions but this prevents a Berserker from being bumped by the very Minions he is killing. [Bug Fix] Fixed the weapons of the female Berserker flying out of her hands when recovering from hits, blocks and stance changes. [Bug Fix] The Kensei can no longer activate Revenge during an Out Of Lock Roll. [Bug Fix] The Kensei can no longer perform “Sprint Attacks” when Out of Stamina while “Iron Lungs” feat is active. Developer Comments: “Iron Lungs” allows you to sprint while Out of Stamina but it should not allow you to “Sprint Attack” while Out of Stamina. This is now consistent with the other characters who have “Iron Lungs”. [Bug Fix] The Shugoki “Zone Attack” can no longer hit a locked opponent behind him. “Blissful Rest” feat was replaced with “Second Wind” on the Nobushi. Developer Comments: We felt the feat was providing too much, between nerfing and replacing with Second Wind, the latter made more sense. Guardbreak input buffer has been increased from Forward Dodge to make it more reliable. [Bug Fix] Fixed an issue that sometimes cause the parry to not play the animation. [Bug Fix] The Highlander can no longer “Caber Toss” an enemy out of Shugoki's “Demon Embrace”. [Bug Fix] Heavy opener block recoveries increased to 900ms (from 800ms). Developer comments: No characters, beside Gladiator, can counter the Guardbreak after a Conqueror’s block. Gladiator is strong enough in its current state so we decided to correct this to be consistent with other character matchups. [Bug Fix] Delayed cancel of the “Zone Attack” by 200ms and reduced the trajectory angle. Developer Comments: When the “Haymaker” feat is activated during Revenge, the Gladiator could make infinite “Zone Attacks Punch” cancels and kill an opponent without giving him the possibility to react. 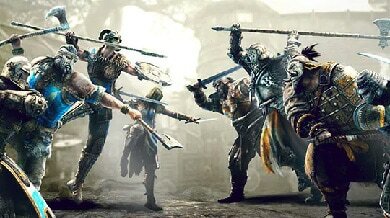 Feint on “Zone Attack” has been delayed, the Gladiator must wait 500ms instead of 300ms before making a new attack. Developer Comment: This is a change we wanted to make for a long time and we are happy to finally release it. With this change, you can interrupt any feat activation except Healing feats and “Juggernaut”, which has a Full Block Stance built in. “Smoke Bomb” now denies interactions, including Capture Zones. Developer Comment: We want feats to provide tactical advantages and this change helps make “Smoke Bomb” a better choice for certain game modes like Tribute. It also makes it a more viable choice in game modes with Capture Zones, like Dominion. Moved a Duel location from Cliffside Path to Drawbridge Exterior. Moved a Duel location from the Narrow Bridges to Main Gate Exterior. Moved a Duel location from beneath the Ship to the Interior Storehouse. The location for Brawl has been changed. Players now fight in a Close-Quarters Brawl setup in the Fountain Courtyard. Railings have been added along the Fountain edges. The location for Brawl has been changed. Players now fight in a Close-Quarters Brawl setup in the Saw Mill. Please Note: The Aramusha and Shaman will not have unique Legendary Armor visual at the start of the season. They will still loot Legendary Armor, and unique Legendary visuals will be included in the next patch. Please note: This season we do not introduce a new rarity of gear. We reduced the effect of the stat “Stamina Cost Reduction” slightly. This stat was too powerful at high levels, especially with the Extreme bundle. Each Hero can now equip up to 4 executions instead of 2. Please note that you must still acquire that many executions before you can assign them, the default is still 2 executions. It is now possible to “Emboss” cloth parts on armors. You can now find this option in the Heroes Barrack for all cloth armors. Developer comments: After resolving this issue on the Gladiator, we decided that it would be a great customization tool for all characters to have. So the “Engraving” tab has been renamed to “Embossing” to make it clear that embossing can now be applied to all materials including cloth! Players can now access the Hero Menu and customize their Heroes while waiting for a match. Please note that this is not available after the session is started. New exclusive Tournament rewards were added for Season 4. Season 3 rewards are not available anymore. Tournament rewards now prioritize the last played Hero in that Tournament. For example, if you played the Orochi during all qualifier matches and played the Warlord during the finals; you will get a Warlord reward. If you already have acquired all the rewards for the last hero played, the reward system will be giving you a reward for a random Hero. Developer comments: With the new season, the tournament rewards were updated. It is no longer possible to get rewards from Season 3. In addition, the long awaited request from the community to prioritize the rewards by the last hero played is in! We found that the Faction War was hard to understand as our terminology did not evoke the world wide conflict of our gameplay. So we reoriented our terminology around the concept of Battles between the Factions, so every turn you’re preparing for an upcoming Battle to bring glory to your Faction. Another addition is that the Faction War is now shown from your Faction’s eyes! We also want to be more transparent: the growing bars on the map represent which faction is leading did not do much to convey the scale of the conflict, or help people identify windows of opportunity. Now we are giving you real numbers to work with, you’ll see the numbers of Troops on territories grow along with your efforts and be able to make better strategic decisions. To help players communicate and organise, we also named all of the territories on the map. Every single one and it was a lot of fun. We look forward to seeing the whole community’s response to this update. Now the Faction War is seen from your Faction point of view. Instead of showing proportional bars of Troops placed by each Faction, we now show the amount of Troops your Faction Leads or Trails by on a specific territory. The 3 territories with the smallest Lead or Trail are emphasised. By selecting a territory, you can see the total amount of Troops deployed by each Faction on that territory. This value updates every minute or so (not in real-time). By selecting a territory, you can also see how many Troops you personally have placed on that territory during Battle Preparation. The crossed swords icon that represents a territory being lost is replaced by new arrows, which point from the winning Faction’s territories to the territory being conquered. Each territory has a unique name. We now display the icon of each playable map located on that territory. 3D Models of Troops now appear on Territories where the player has deployed them manually. The War Map’s appearance was changed to make it easier to understand. Added a breakdown of the overall amount of territories your Faction is currently Winning or Losing to give a better overview of the battles. 9 new Faction War territories have been added to the map, 3 per faction. Moved existing maps to different Faction War territories so the new maps are placed on, or close to, the front. Developer Comments: In addition to presentation and readability updates, we’ve updated some of the rules to build lasting impact. 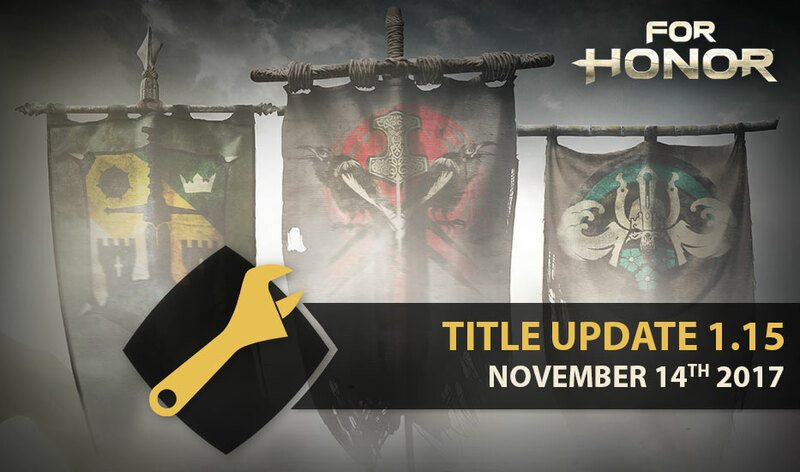 We found the Faction War Rules were too elastic, Territories changed hands too frequently and there was a general feeling that only the last 3-4 Battles of the Faction War really mattered. Each Battle Preparation is now 11 hours long instead of 6h. It is now feasible to participate in every Battle Preparation without sacrificing your sleep. Each Campaign is now 31 battles instead of 57 (to keep the length of the Campaign the same as before). 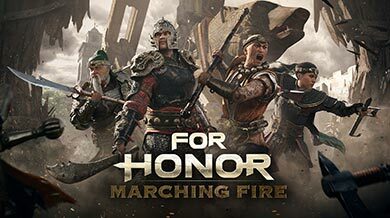 Faction War territories start each Campaign with Troops deployed to them. Territories closer to Citadels receive the most troops. Territories on the front receive none. For every territory, 50% of the winning faction’s Troops advantage (winning faction Troops over the runner-up faction’s Troops) are now carried over from Battle to Battle. For example, if you won a territory by having 5000 Troops and your runner-up has 3000 Troops, you will retain a base amount of 2000 Troops, which will then be divided by the 50% modifier. The winning faction will start the next Battle with 1000 Troops. Developer Comments: We established that 50% is a good base value in order to balance between elasticity and faction’s ability to take over territories during a Battle. This value can be adjusted over time, as required, based on data collected and player’s feedbacks. Added Execution 3 & 4 in the Keyboard mapping screen as separated line for visibility. Improved the quality of water reflections. The “Double Buffering” V-Sync option has been changed to be Adaptive. Developer Comments: Lower end hardware that didn´t deliver consistent 30 frames per second was dipping from 30 to 20 frames per second (FPS) directly due to the double buffering implementation. With the new “Adaptive” double buffering, V-Sync will be automatically disabled when the framerate falls below 30 FPS to maintain a better gameplay experience and will result in less “latency kick” caused by temporary performance reduction. [Bug Fix] Duels will now properly forfeit when the opponent leaves. [Bug Fix] Leaving a duel by accepting a group invite now properly triggers a forfeit. Please note that quitter penalty will apply. [Bug Fix] Revenge duration stat was not affecting the Revenge Shield duration. This is now fixed. [Bug Fix] Fixed a conflict between interacting with the Ballista and reviving a teammate. [Bug Fix] Death Camera now automatically switches to another teammate when the one we are spectating dies. [Bug Fix] Moving from 3rd person to 1st person camera while using Ballista to resolve the issue that caused some large Ornament to block the view of the player. [Bug Fix] Fixed bug that caused the killer information interface to sometimes not show in Duel and Brawl. [Bug Fix] Fixed the speed rotation on all samurai bow feat so it would correctly aim at the target even if the opponent dodges early. [Bug Fix] Fixed an issued that caused an interaction prompt to appear when doing an attack next to an interactive object. [Bug Fix] Fixed false detection of target while in the Ballista, the reticle would show that you were aiming at a target while he is behind a wall. [Bug Fix] When a player is in a Super Armor state, they will no longer flash went hit with a tick of bleed or fire. [Bug Fix] Fixed issue where the Centurion bot could become stuck if heroes like the Conqueror blocked some of his attacks. The Valkyrie bot had her “Rage” feat replaced with the “Fire Flask” feat. The Nobushi bot had her “Heal” feat replaced with the “Focus” feat. [Bug Fix] Fixed an issue that could cause player to get stuck in a collision on the balcony area, Brawl area, of the Tower map. [Bug Fix] Fixed multiple issues affecting collisions with Demon Embrace. The move could cause enemies to get through walls on the drop at the end. On the grab, characters could go though each other under certain circumstances. [Bug Fix] Fixed a collision issue in the Overwatch map where a player could be stuck on the stairs near Capture Zone C.
[Bug Fix] An area in Sanctuary Bridge has been modified to remove the possibility of the player ending floating when pushed off specific ledges. [Bug Fix] Fixed issue where waiting in the barracks during post-game presentation (before the progress bar reaches the end) prevents the player from joining the next match. [Bug Fix] Matches are now properly ended if your opponent is kicked due to low Frame Rate. [Bug Fix] Fixed issue where players could remain stuck in the celebration banners during various parts of the flow until their next match started. [Bug Fix] The announcer will now be more chatty at the end of a tournament match. [Bug Fix] Fixed placeholder icon showing up for Tournament Rewards. [Bug Fix] Added the missing Tier Reward ornament for the Highlander and the Gladiator. [Bug Fix] Added a missing Paint Pattern ‘Brush Stroke 5’ for the “Impressionist Battle” Outfit for the Gladiator. [Bug Fix] Reframed all the Gladiator Outfits thumbnails so the shield is not off frame anymore. [Bug Fix] Female Raider outfits thumbnails have been updated to take into consideration the cloth piece dye. [Bug Fix] Fixed many issues related to outfits not applying the materials, tattoos and symbols the player selected. [Bug Fix] The visual hint that occurs when an opponent goes Out of Stamina has been reintroduced. [Bug Fix] Fixed an issue that could cause group members to remain stuck on an inactive World Map during matchmaking. [Bug Fix] Fixed an issue that caused Legendary gear thumbnails to use placeholder images. [Bug Fix] Map Overview screens now support colorblind mode. [Bug Fix] Fixed back button legend in matchmaking parameters menu page. [Bug Fix] Fixed overlapping Round information in faceoff that was showing too soon. [Bug Fix] Fixed the User interface for control layouts. Developer Comments: Members of the community made us aware of a non-standard connection pattern on game start-up. This issue is now fixed; please note that to use a Tobii device, it now needs to be connected before launching the game. Thanks to “Anumrak” from the Ubisoft forums for reporting this issue. [Bug Fix] Display mode can now be changed after playing a match. [Bug Fix] Fixed a visual overflow issue in the GPU memory usage indicator. [Bug Fix] Icons in Event Playlist were sometimes not reacting correctly to mouse clicks. [Bug Fix] Mute player click area does function on "Defenders" side now. [Bug Fix] Mute player click area does not move with team selection. [Bug Fix] When Gamepad Layout is changed, Limbo Mode options are not functional (except for quickchat, menu and scoreboard). This is now fixed. [Bug Fix] “Show Killer Info” button does not work if the player changes Gamepad Layout to anything other than Default after dying. This is now fixed. [Bug Fix] Refuse revive action does not work if the player changes Gamepad Layout to anything other than Default after dying. This is now fixed. [Bug Fix] User unable to switch display mode after returning from a match. This is now fixed. [Bug Fix] In the Emblem Editor, the player can select the game modes on the world map when trying to select a symbol. This is now fixed. [Bug Fix] "Create an Emblem" screen is blank when accessed the second time through the player widget icon. This is now fixed. [Bug Fix] “Left CTRL” is displayed as the assigned key for Quick Chat/Call for Help. This is now fixed. [Bug Fix] Starting in windowed mode, causes the game to launch in a tiny window in the top-left corner. This is now fixed. [Bug Fix] Game gets stuck on the Uplay overlay after using "alt+tab" on the store page. This is now fixed.